“Wowy, wow, wow! 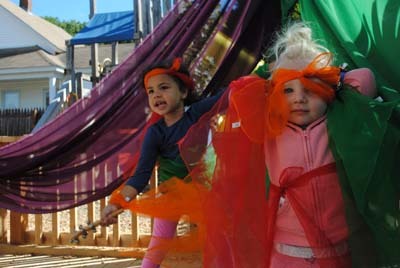 Our new playground is so amazing!” exclaimed Lucy, age 3. When Storybook Hollow moved to our new location in Gonic, NH, we knew we were going to have our work cut out for us with the existing outdoor area. We were legitimately starting out with a blank slate. We had no plants or trees, lots of plastic and almost our entire outdoor space was made of asphalt. 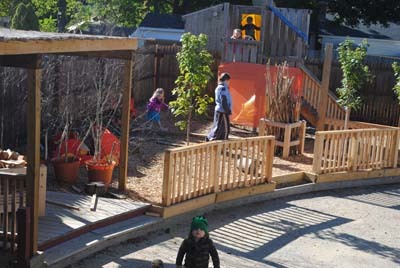 There was no possible way for our students to experience, let alone connect with and explore nature while outside. Storybook Hollow’s Owner/Director, Donna Caton, has always had a strong connection with nature and knew that this space just wasn’t going to work if left in its current state. It was when Donna heard about the Nature Explore Certified Classrooms that our mission truly began. With a team in place that all shared the same vision, Donna was able to make her dream of a nature-based center a reality. 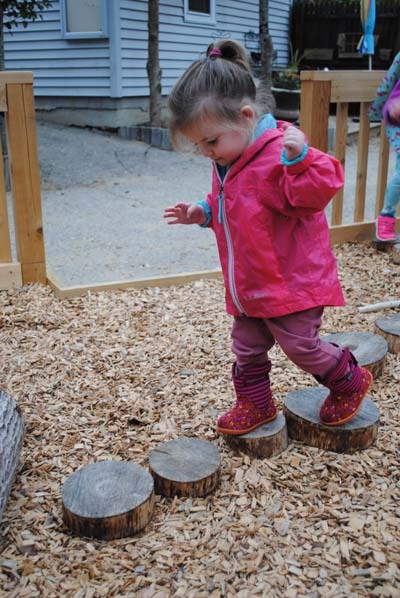 The staff at Storybook Hollow began attending workshops and conferences that focused on bringing nature into the classroom, including two Nature Explore Trainings; Learning With Nature and Using Your Outdoor Classroom. Upon returning home from the Nature Explore Training, the staff was energized and immediately began making changes in our outdoor classroom. 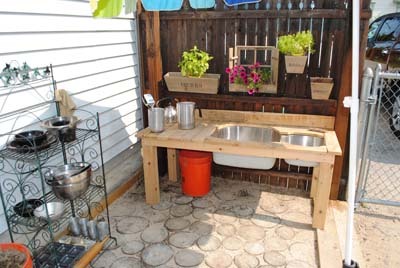 The modifications to our center did not stop at just our outdoor areas; we also focused on bringing nature to our indoor classrooms and curriculum. 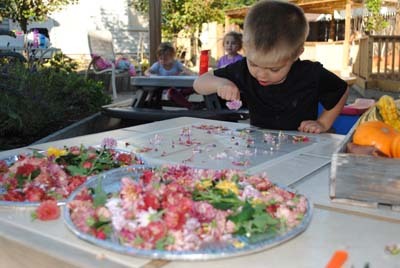 We completed workshops on the Reggio, Montessori, and Waldorf approaches to teaching. As a team, we decided on what we thought were the best aspects of each and combined them into one, cohesive, nature-based curriculum that we now implement throughout the center. As families began to notice how our center was evolving they asked questions, shared ideas and overall, seemed very pleased and intrigued with the direction in which the center was moving. They participated in multiple fundraising events that ranged from Art Shows to Parents Night Out opportunities. None of our efforts would have been possible without the support and trust of the families we serve and we are so fortunate to have them in our lives! We are excited to become the 5th Nature Explore Certified Classroom in New Hampshire and hope that our story can inspire and motivate others.